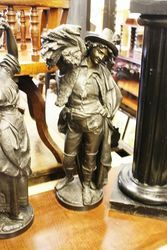 Victorian Pair of Spelter Figures + Stands. 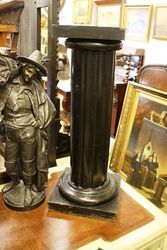 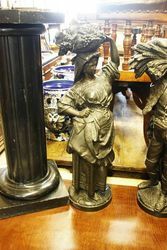 An Impressive Victorian Pair of Spelter Figures on Black Carved Fluted Stands. 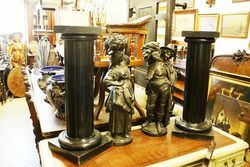 Each figure is 150 cm high, including plinth; figure alone 72 cm high x 35 cm wide x 25 cm deep and 21 cm diameter at base.